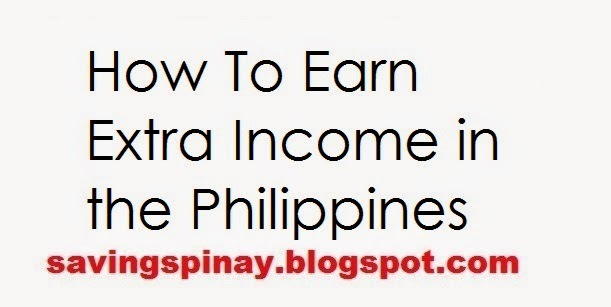 Do you wonder how you can earn extra income aside from your daily allowance? How about the income you make in your work? Then fret no more because I am here to give you the best possible ideas that you can earn extra income in a safe and easy way. All of us needs money to buy our essentials. But I know at some point we will have those moments when we feel like what we earn is not enough. Sabi nga di ba “Sweldo lang naman ang di nataas” This statement is the exact reason why we need to be more productive in finding out means to fit the salary in your expenses. I realized that having an extra income does not just add up on my finances but also add up on my outlook in life. I became more positive in life because I know something aside from my profession that I can rely to if and then unexpected things happen. You too can do it! So how will you find extra sources of income? 1. Find your Skill and Offer it. Everyone of us has his/her own unique skill that God had blessed us to have and to share. Find it and offer it. Mine is hosting so I did earn an extra means of living through it. Maybe you know how to play the guitar or the piano. Or maybe you have basic photography skills. Whatever it is know it, develop it and start offering it to your friends and soon potential clients. 2. Be Paid for Your Services. Don’t settle for a free service unless you are just starting in the business. You may offer for free but make sure its for portfolio use only. Once you’ve built your portfolio have your services paid. The main reason is that you need money to fund your talent. You will never earn extra if you don’t stop offering for FREE. 3. Market what you know. There are things we have more knowledge about than the others. For example, I know how to apply makeup so I decided to do makeup videos. Little by little I earn few dollars with the views plus I get to share my tips and tricks for fellow Filipinas too. Marketing your knowledge means having a broader way in letting others know that you can do this and you can do that. Create an album in your Facebook page about your skill and make a status that you can offer free tutorial or lesson. Once potential clients line up you can now create advertisement in Sulit for others to be paid. 4. Sell something. As simple as it is, selling is a one solid way that you will start earning. Create an Instagram account and sell unusual stuff. You can also have a garage sale. Now that it’s Christmas for sure gift items will be a must so you as early as now, start selling online or at your neighborhood. 5. Sell your creativity. If you don’t have any product to sell then why not sell your creativity? Maybe you have some potential in doing sketches of persons, you can earn cash through it. Earning extra income has been very simple nowadays thanks to social media. It is easier to post and to tag people letting your network grow with less work. The thing is you need to take that big step. Let it go and be amazed of what will happen next.